…but then it never went away! I am a sucker for falling in love with things via my Instagram feed – to be honest its one of my favourite things about Instagram. Stylish people share their great finds with you, discoveries that you can then make your own. 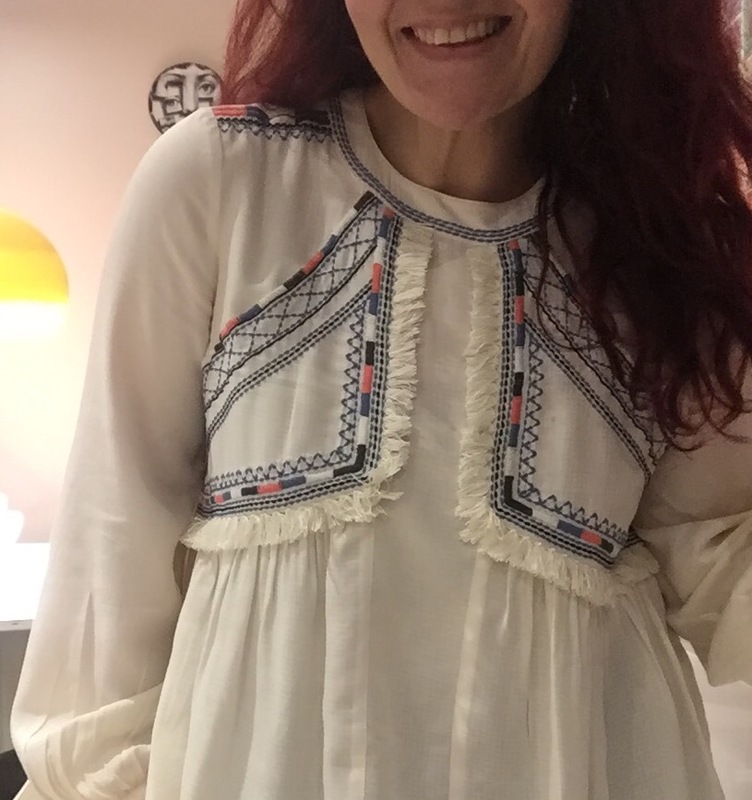 I’d seen an amazing blouse on a few different bloggers feeds and had assumed it was Isabel Marant or similar, and knowing that was completely out of my price range resigned myself to swooning over it from afar. I couldn’t believe it when I tapped for a credit tag and found it it was from good old Marks and Spencer! M&S! I practically did a little dance!!! 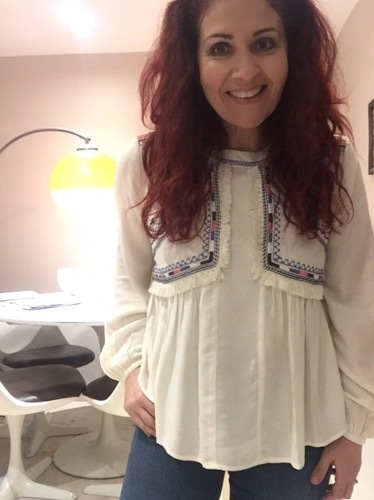 The blouse is from the Indigo range at M&S and is a cream cotton Telcel with detailed embroidery and fringing. It is gathered under the bust so is a very flattering fit which hangs to your hips. 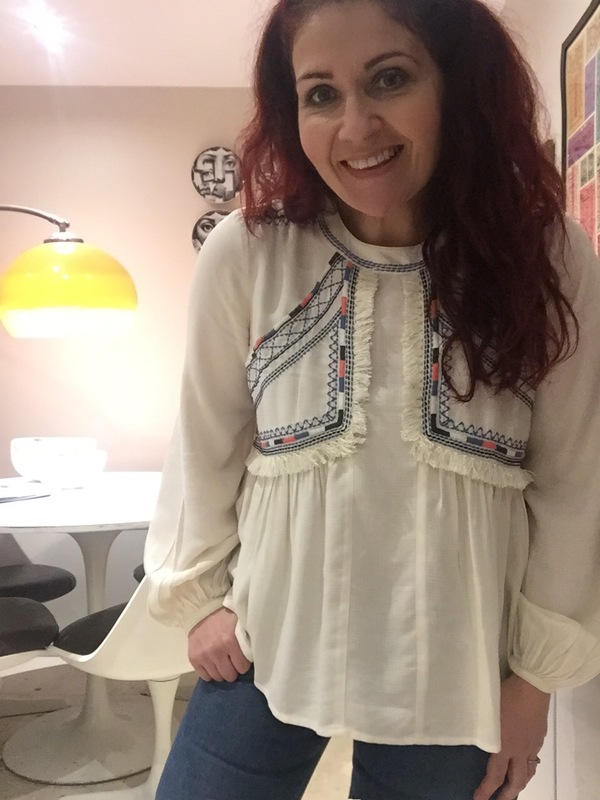 The generous bell sleeves add to the peasant look but everything about this blouse screams designer when it is in fact, high street. I wore mine with skinny jeans and heeled boots and felt the proportions were really flattering to my curvy frame. Size-wise it is true to size and I bought the UK size 12 which hangs really nicely. 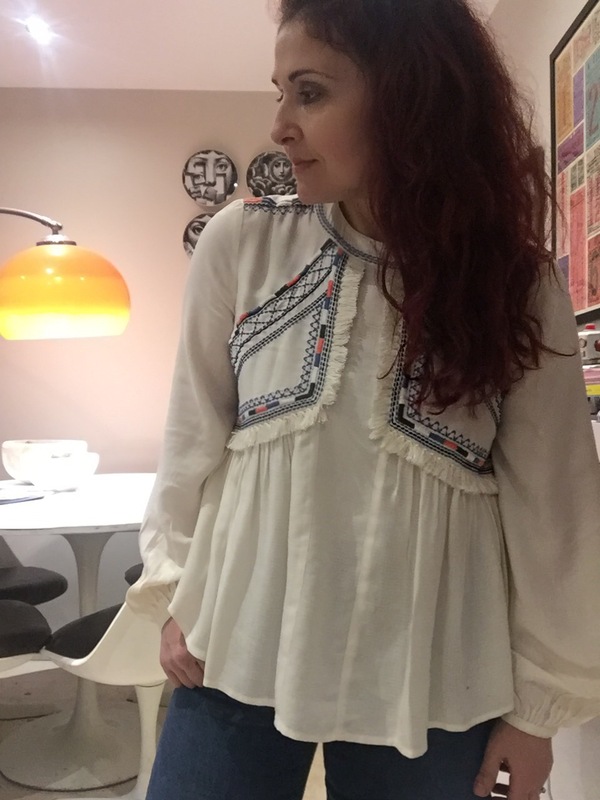 The best bit about this blouse is the boho details. 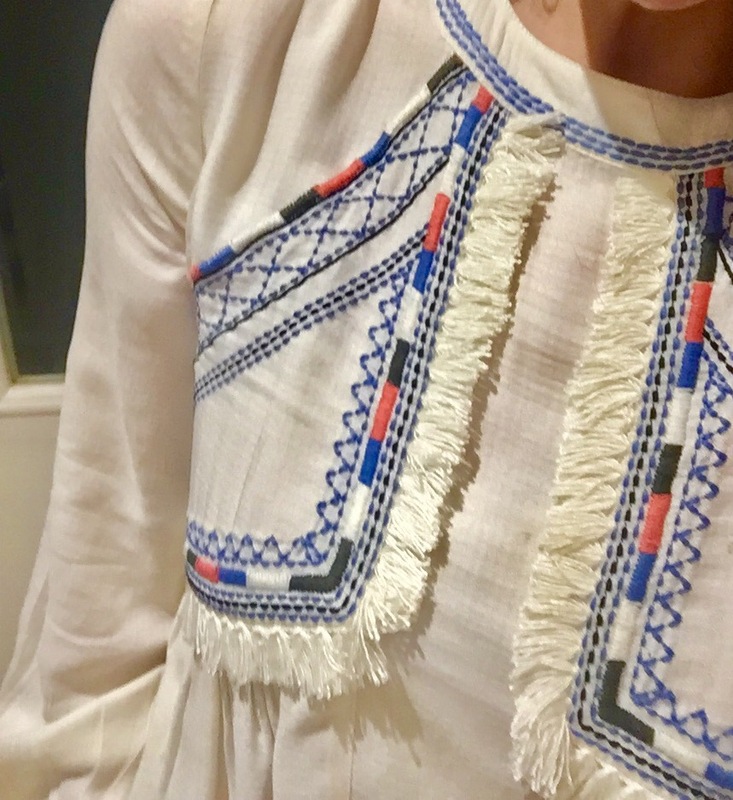 The detailing is REALLY good – a mix of colours with fringing detail to the front and it has a slight cut out detail to the back fastening. 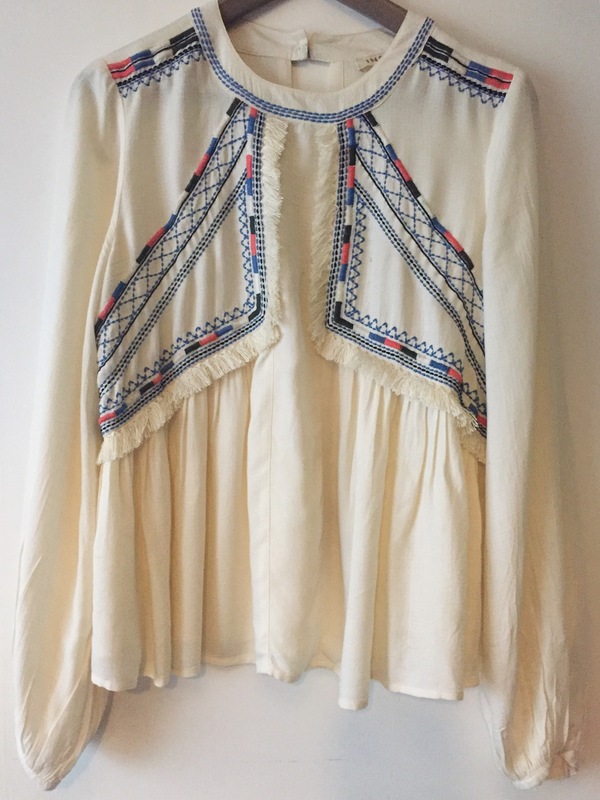 This blouse would definitely be a great addition to your SS17 wardrobe – its a very wearable piece, is lovely quality and very flattering. My advice? Grab it now before it sells out! < What does your Valentines Day look like?